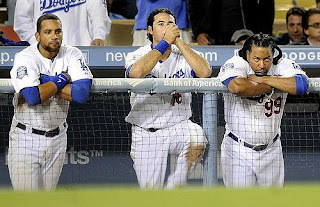 The Dodgers are on the brink of losing the NLCS all of a sudden. They were up in Game 4 for a lot of game, but so how managed to blow the lead and ended up losing this game that if Stairs struck out, the Dodgers would have probably won. What a difference a pitch makes. We will talk about this, and though it may be premature, we will look ahead to the World Series, and how this may play out for the Phillies should they make it to the big games! Tune in on Wednesday night with Rich Baxter and Jim 'Sports Dogg' Mulry as we bring you another edition of Philly Sports Talk Now!